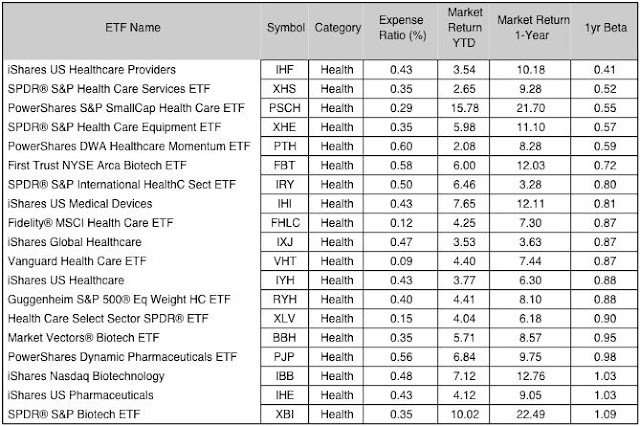 Health Sector ETFs show a wide range of Beta value, where Beta of less than 1 means that the security will be less volatile than the market. A beta of greater than 1 indicates that the security's price will be more volatile than the market. Seniors should keep away from high volatility ETFs that are mostly in highly unpredictable biotechnology sectors. The preferred Vanguard Health Care ETF does not show favorable short-term market returns or very low Beta.